Your little one will adore this quilt! 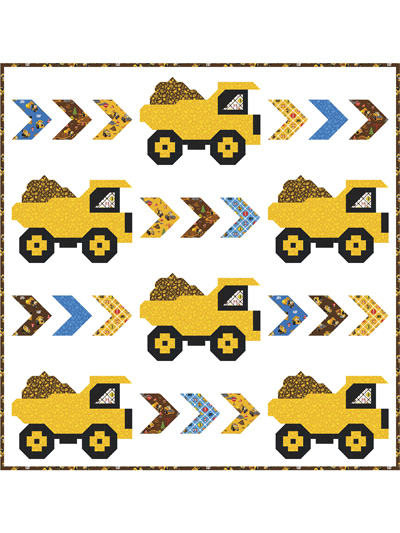 This quilt uses simple piecing techniques and is sure to delight anyone in your life who loves construction, wheels and vehicles! 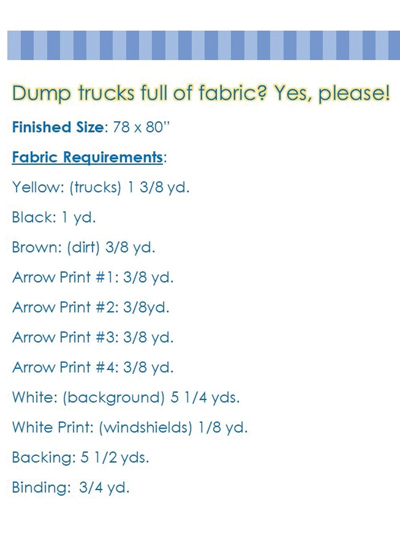 Traditional patchwork techniques used, no curved seams or applique. Finished size: 78" x 80".